Nothing beats a Bruce deal! 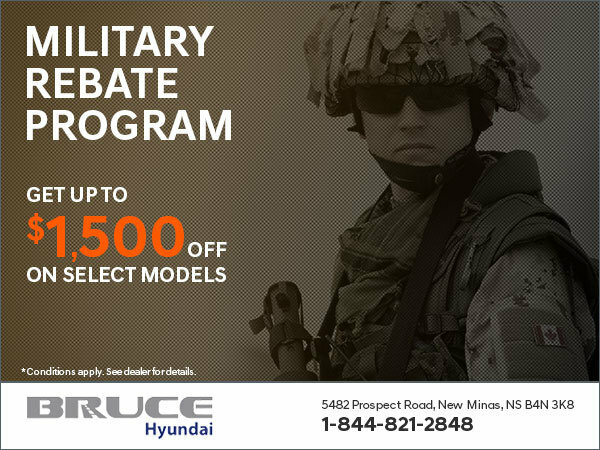 For more information, please visit Bruce Hyundai today! *Conditions may apply. Rebate is tax inclusive and must be applied after tax.